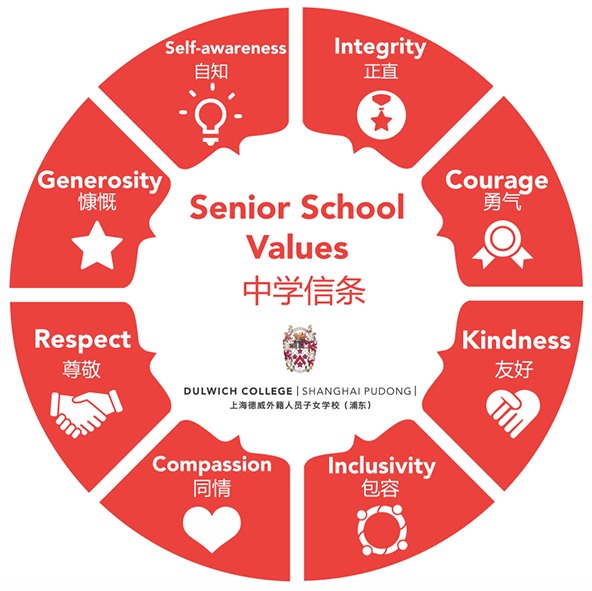 The excellent behaviour and attitude demonstrated by students at Dulwich College Shanghai Pudong and Puxi are an outcome of the positive culture and ethos that is created throughout the College. Our guidance, intervention, and teaching encourage students to behave in a way that develops an understanding of themselves and others and build a desire and personal capacity to learn. Students are encouraged to take responsibility for their personal actions, to understand the importance of positive relationships, and to develop a feeling of connectedness in our school community. In any organisation, relationships are often tested, and at the worst break down. Our Behaviour for Learning approach is ‘restorative’, seeking to empower individuals and communities, to safeguard student interests, and to restore social capital. Positive – where expectations are emphasised. Values-driven – where the process and method of learning are as equally important as the sanction or consequence. Restorative – rather than punitive, focusing on positive relationships between students and other members of our school community. Relevant – to students at all stages of their education and adapted to an international context, appropriate for student age or social maturity. Dulwich students are intrinsically motivated to do well and have developed a culture of positivity, focused on achieving the highest learning outcomes. Mechanisms to recognise and reward achievement are ‘age appropriate’ and delivered sensitively to consider the positive impact on the individual or group. Students are recognised through our House Point system for demonstrating our College Values in action. House Points are, therefore, relational/process driven. House Points are awarded when ‘students go above and beyond what is expected, and in doing so demonstrate one or more of our college values’. Re-integration – working through a structured, supportive process that aims to solve the problem. Cognitive – Belief in the limitless opportunity and endeavour that learning presents. Social – Connectedness with people in our community and beyond. Physical – Actively engaged in activities that support healthy and optimal living. Spiritual – Mindful of the present moment, finding meaning and purpose in life. Emotional – Using positive emotion to reflect with gratitude, enabling us (and others) to flourish in our community. Our understanding of wellbeing is evident in the way we talk to students and each other, the behaviours we model, and the core values we transmit. It is implicit in our interaction with others, and the professional and moral code that we follow in our College. We aim to unlock potential in each other as well as in those we teach. We continuously self-evaluate and encourage our community to engage in reflective processes so as to develop personal and professional growth. 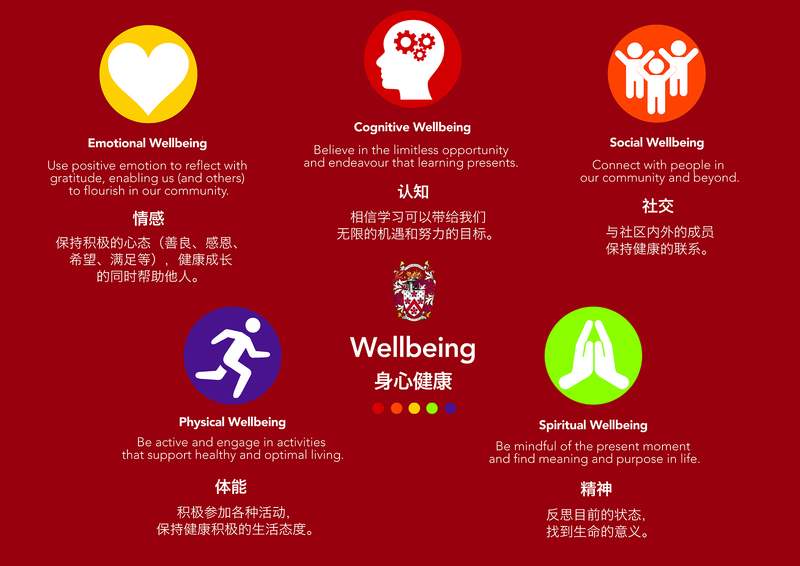 Dulwich College Shanghai Pudong and Puxi educate all members of its community to flourish positively in life. Students' development is prioritised through challenging programmes within our safe and respectful environment, which nurtures their overall wellbeing, enabling them to achieve their academic potential. 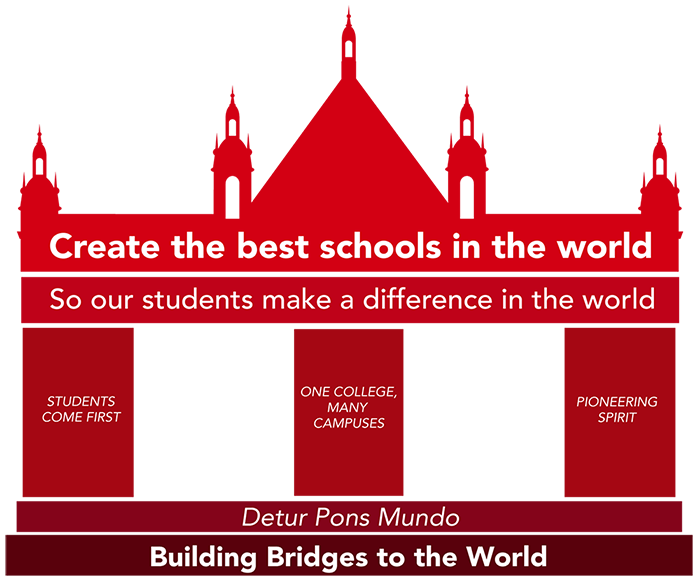 Students, staff, and parents work collaboratively in our diverse and international community, in order to have a global perspective and be positive, compassionate contributors to society. Students have open and inquiring minds and are encouraged to be creative, innovative, and reflective. As a result, students develop the knowledge, the courage, and the resilience to contribute effectively and confidently to an ever-changing world. 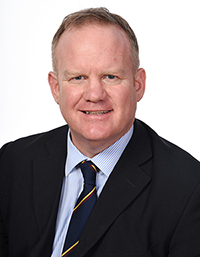 Neil Crossland is Deputy Head of the Senior School at Dulwich College Shanghai Pudong, and a passionate leader of holistic learning and values-driven education. As an experienced and well qualified senior leader both in the UK (National Professional Qualification for Headship), and overseas (International Leadership and Management Programme), Neil is currently leading a high performing team at Dulwich Pudong developing the Secondary School learning programme with specific responsibility for Pastoral education, holistic learning and student safeguarding. Neil, by his own admission, has had a rich and diverse journey as an international educator, guided by a strong sense of moral value and purpose - a journey that he would want for all students at Dulwich College Shanghai Pudong.